(RFIDWorld.ca) Federal Canada Minister Rempel announced support for a RFID-based project among the 27 projects in western Canada under the Western Innovation (WINN) Initiative, a vital component in the Harper Government’s commitment to creating jobs, promoting economic growth, and maintaining Canada’s competitive advantage in the global marketplace. 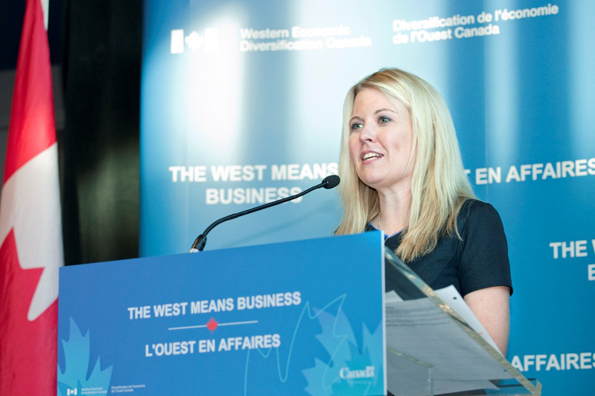 To this end, Western Economic Diversification Canada (WD) continues to serve western Canadian business and entrepreneurs as a co-investor, convener and champion for the West, supporting the advancement of a healthy economy. Over its 5-year span WINN will provide up to $100 million in repayable assistance to western small- and medium-sized enterprises (SMEs). Under WINN, SMEs can apply for funding for a variety of tasks that are essential in taking a product from the research and development stage to the market, such as: product testing and technology demonstrations, equipment purchases and installation, regulatory approval, marketing, and intellectual property protection. Of 27 projects announced, the single RFID project’s proponent is M3 Logistics Inc. M3 Logistics is a Calgary, Alberta based company that focuses on supply chain, asset, inventory, warehouse & yard management operations, through the efficient and effective use of Radio Frequency Identification (RFID) and related technologies. The project funded will commercialize a $227,000 RFID tracking system for chemical products. This technology will support the chemical and additives industry through improved inventory and supply chain management and traceability.